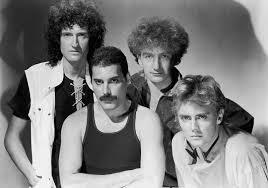 Queen - Who Wants To Live Forever. This is from highlander. I was listening to the Flash Gordon song below and that's what lead to this song. Pretty much memories of Highlander lead me to this song. I like it. Queen - Princes of the Universe. Not as good as the other two Queen songs posted here but still included because to me it's a theme of immortality. Queen - Freddy Mercury - Front Centre. I often find myself singing this. I'm like Flash ahah ruler of the universe. But it's actually saviour of the universe. This song is what lead to all the Queen posts here, this triple post of Queen. All these songs are good but don't really have much lasting value for me. Perhaps I will come back to them but seldom and not very often. Highlander for immortality. Flash for ruling the universe. Freddy Mercury not bad as a musician.